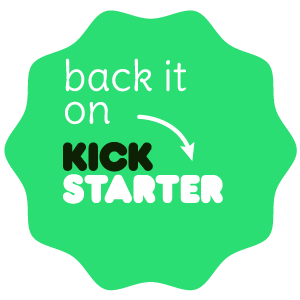 Kickstarter – Pledge Your Support Now! Many of you may have received our November mailing concerning our Crowd Funding campaign. For reasons beyond our control, we were unfortunately forced to postpone the initial launch. We did get some fantastic feedback, with many of you getting in touch asking how you could get involved. We’ve been solidifying our plans, and we have now launched our crowd funding campaign on the website Kickstarter. IT IS LIVE RIGHT NOW! For those of you who are unfamiliar with Kickstarter, the idea is pretty simple. Members of the public support a project with small donations to help a project or product reach a financial goal, usually via the Internet. That’s where you come in. By going to the Kickstarter website and pledging a donation to us, you will be making a real difference to the Full Grown dream. Any donation is warmly accepted – only give what you can. And for those of you that pledge at specific prices, we’ve got some amazing treats lined up as rewards, including Grown Pieces, artwork, and even a tree-shaping masterclass with Gavin and our team. The catch is that if we do not reach our stated goal, then, unfortunately, we get nothing. So please, if you want this project to succeed as much as we do, head over to the site, and pledge to help make the Full Grown dream a reality.